I spent a majority of the past two weeks back in my old running routes of the Midwest: first my hometown of St. Louis for my sister’s wedding, then a short vacation with Ryan to Valparaiso, Indiana. Valparaiso is in northwest Indiana, halfway between Chicago and Notre Dame and near the Indiana Dunes. 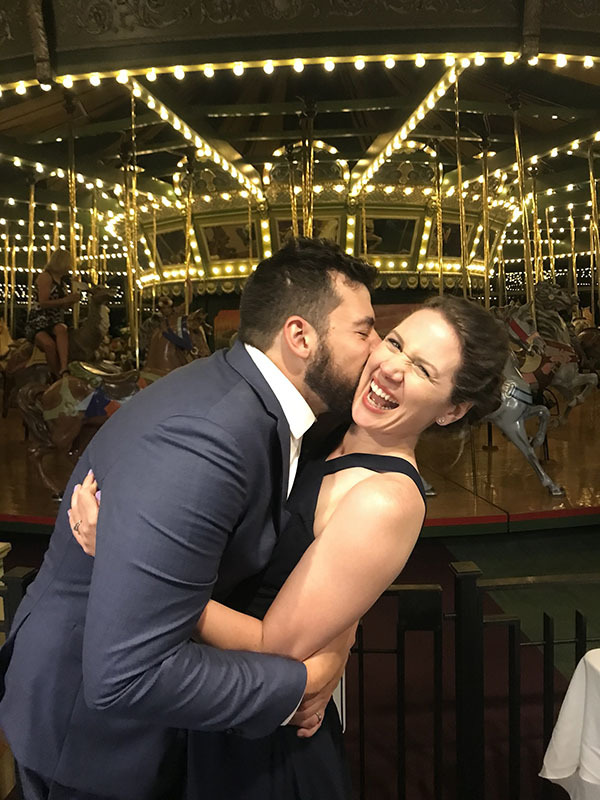 The town may seem like a random place to visit, but we both attended the university there, got engaged and married there, and lived most of our first year as a married couple there. It’s where I first fell in love with running, on the treadmill at the student athletics center, and ran my first 10K and half marathon there. Despite the heat and humidity, I really enjoyed my runs in the Midwest. The distance was relatively short due to the busy nature of our trips, but the shorter distance did help balance out the heat. 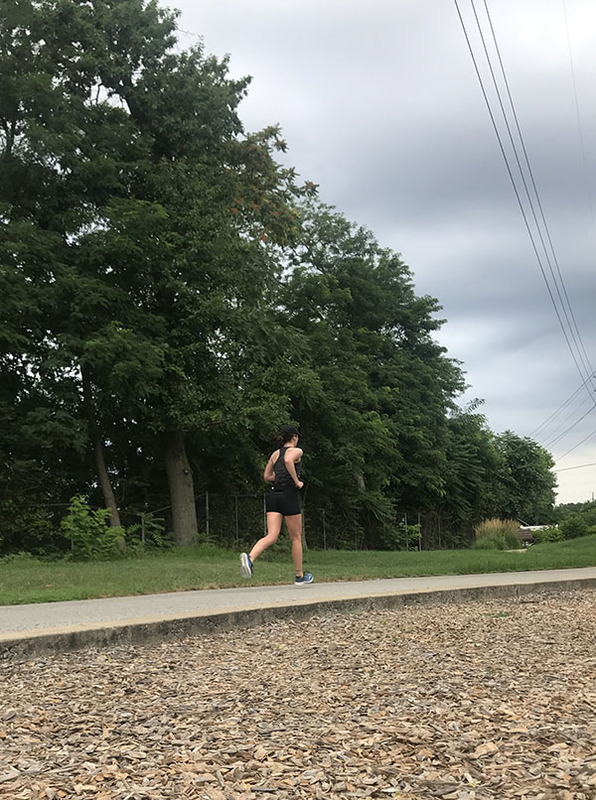 I felt like I hadn’t missed a beat on my runs in Valpo; our room (a gorgeous room overlooking downtown) was just a block from our old apartment, and I could count out the mile marks along our routes: 1 mile to the city gardens, 2 miles to the high school. Since we moved away three years ago, the city expanded the paved trails system, so we were able to explore some new routes as well. Before I left for St. Louis, I logged two shorter runs – a 6 miler and 3 miler – and one lifting session at the gym. I always feel better if I can squeeze in a short run before a flight. On my first day in St. Louis, I ran straight from my parents’ house, which isn’t the greatest route but I just wanted to quickly complete three miles. It was already hot and humid by 8 AM – I was still sleeping on Pacific time, which made an early run more difficult. 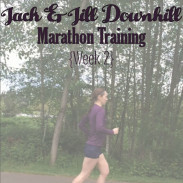 My run on that Thursday was much better and my pace genuinely surprised me. I consistently ran a 7:40-7:50/mile pace for 6 miles, even in high humidity and heat. Cloud cover certainly helped, as did a completely flat route with minimal road crossings. 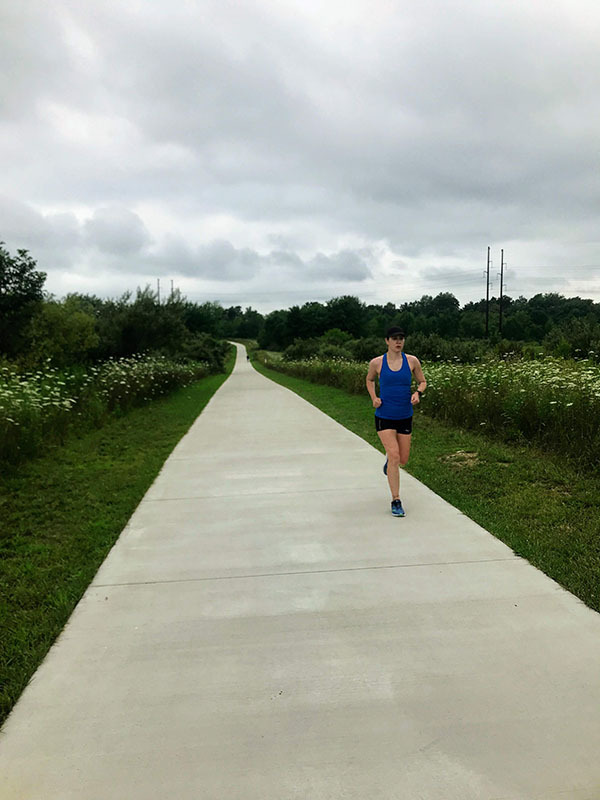 I ran along Grant’s Trail, which is a 8-mile long rail trail in the suburbs of St. Louis. Ryan arrived Thursday night, so we ran together on Friday. The sun shone in full force on this run; Ryan and I were dripping in sweat after only three miles. Saturday was my sister’s wedding. I didn’t do any formal exercise and I didn’t wear my Garmin to track my steps (although I sported a trendy Garmin tanline in my bridesmaid’s dress), but I spend a majority of the day on my feet and a lot of the night dancing. Homesickness hit both Ryan and me when we returned to Valparaiso; we instantly felt back at home and were incredibly pleased with the advancements the city had made since we left. We enjoy life in the Pacific Northwest, but there’s something special about Northwest Indiana. We ran both mornings we stayed in Valparaiso; once along one of the new paved trails, and another time around Valparaiso University’s campus. I wanted to run some of my favorite loops and the cross county park as well, but we only had so much time. The weather was humid and warm, but much more manageable than the St. Louis heat. Actually, the weather was only slight warmer than mornings in the Seattle area. Nothing can make you feel homesick like running through your old routes. 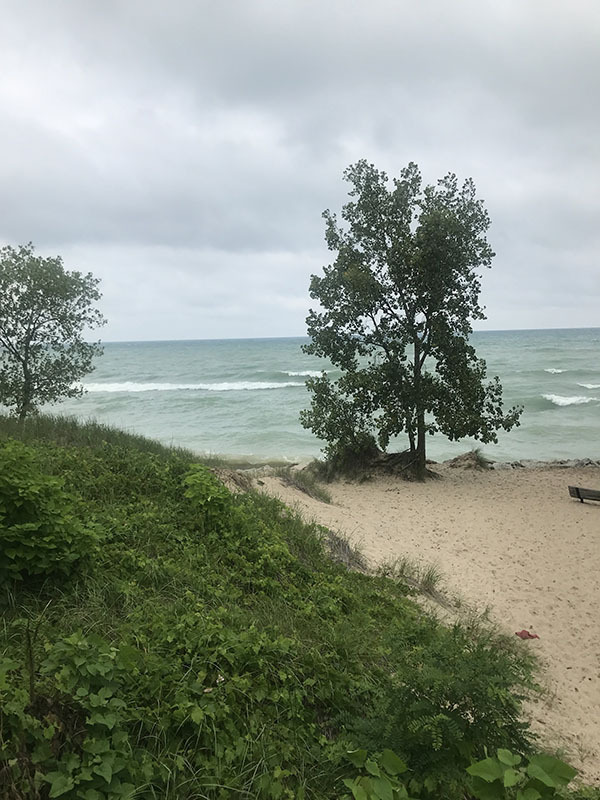 We filled our only full day in Valparaiso with several activities; after a 5 mile run, we visited the Indiana Dunes National Lakeshore, rented a paddle-boat in the Valparaiso Chain of Lakes, and walked around our alma mater. 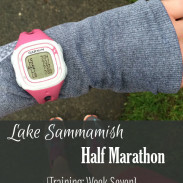 Once we returned to Seattle, it was back to normal workouts: a strength session at the gym, two easy runs, and a 10 mile long run with 500 feet of climbing. The weather has been hot and humid here this week, especially by Northwest standards. Instead of hiking this weekend, we rented a kayak out on the Sammamish River! 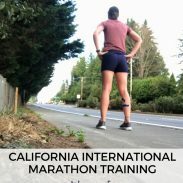 What city is your favorite for running? Glad you had a good trip and enjoyed your sister’s wedding! it’s so fun to run around your old stomping grounds. Where I live now is where I really started to get into longer distance running about 10 years ago, so it was weird when I moved back here to run the same routes again. Thank you! I bet it’s nice to run along your original routes again! I always like to go back to my hometown and tour it on a run. It’s crazy how quickly things change when you aren’t there. But living there it seems like everything’s the same. Places do seem to change so fast when you’re not watching the changes gradually occur! Although out here, the changes are slow – we’ve been waiting on one single stretch of trail in the time that back home put in multiple new ones! There really is something about the midwest, isn’t there? I always say I’d like to move away, but it really feels like home. I love that picture of you and your hubs!!! Thank you! There really is something special about the Midwest, especially around Lake Michigan. I didn’t think I would miss it as much as I do! There is always something so special about places that hold memories like that! I’m glad you enjoyed your trip and got in some fun runs down memory lane. Congrats to your sister, too! Thank you! Those old favorite routes are always so special, no matter how long has passed! How lovely to go back and revisit a place that’s so special to you – and what lovely paved trails they have laid on, too! Love your Garmin watch mark comment, I have the worst runner’s tan again this year but fortunately no formal events to attend! Watch tans are a definite downside of running so much – I almost considered filling it in with make up! How fun to visit (and run around in) your old stomping grounds! 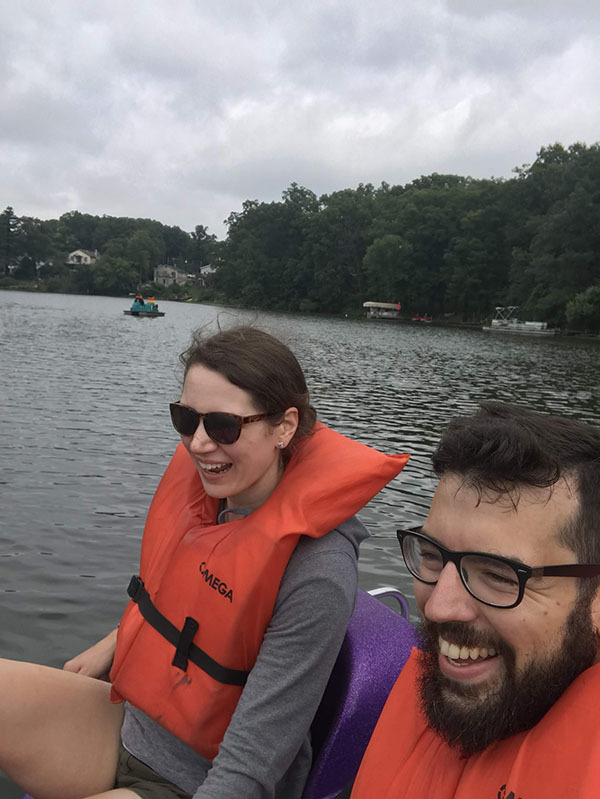 Paddle boats are so fun but can also be quite the workout too. I hope to do some kayaking this weekend! Thanks for linking.